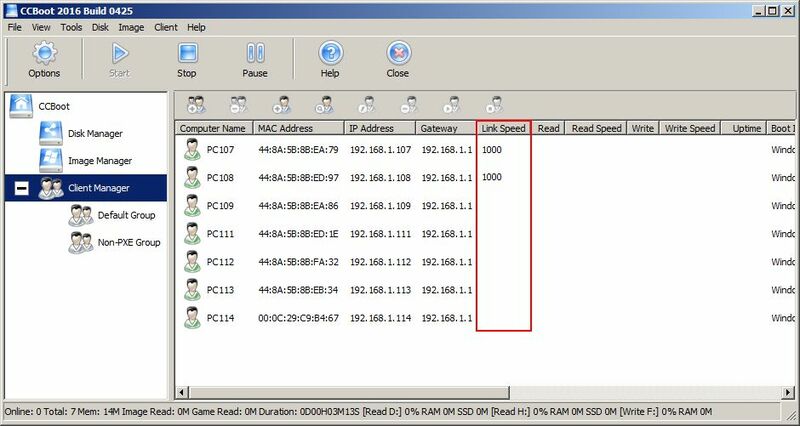 From CCBoot v 3.0 20140728, Link Speed is added to the details pane of Client Manager on CCBoot server (Figure 1-1). You can check the online clients network speed there. If your NIC is 1000 Mbps, the value should be the same. Note: If it shows 100 Mbps there, please check whether the network cable is plugged normally or not.